Pinnacle Rock on Bartolomé Island. 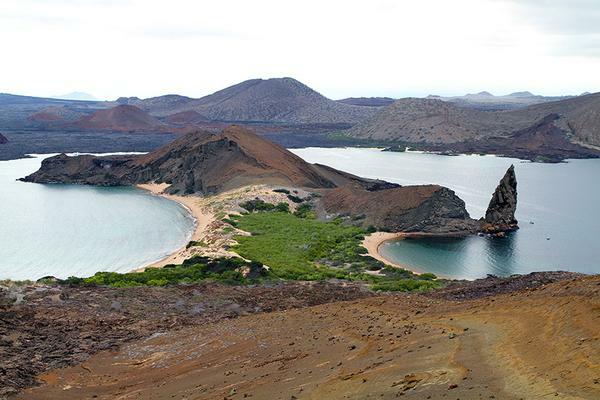 Every tour to the Galápagos must explore the islands in the company of a Certified Naturalist Guide who will not only enrich the experience with his or her expert knowledge of the islands and their wildlife, but also protects them in accordance with the belief that travel is an exchange, not a commodity. Your guide will begin the trip with an information session to discuss the flora and fauna you’ll encounter, answer questions and provide instructions on how to tread lightly on this very sensitive environment. Having a Naturalist Guide enriches your experience. 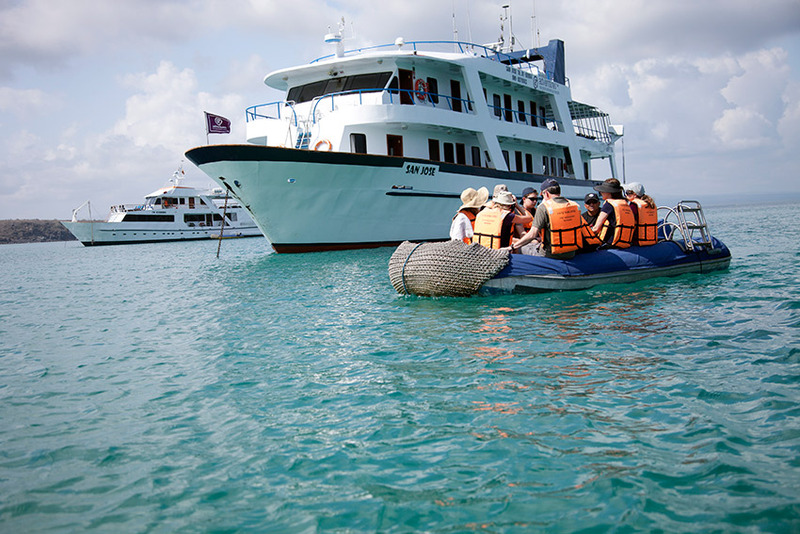 ‘Liveaboard’ yachts are self-contained and have less impact on the local limited resources. All the planning and logistics are done for you, the itinerary is set, most meals are provided and you only have to pack and unpack once. Unpack once and focus on your experience. Cruising between the islands at night means fewer daylight hours are lost in transit and passengers have more time on the islands. Tour ships visit the islands and wildlife in the early morning and late afternoon, when wildlife is more active and the sun less intense. Do not take any food items other than water to the uninhabited islands, and, of course, never attempt to feed (or touch) any of the animals. Because many of the species living on the islands don’t fear people, they can often try and get close to you even when you aren’t approaching. Sea lions in particular are often very playful. Keep a distance of at least six feet between you and any animal, and back away to maintain this if they approach you. Keep a safe distance from any animal. Fully cooperate with environmental inspection and quarantine services personnel during your visit. Introduced plants, animals and certain foods not native to the islands are a serious threat to their delicate ecosystems. Do not buy souvenirs or objects made of native plants or animals from the islands, especially black coral, volcanic rocks, native woods, sea lion teeth or tortoise shells. Ensuring that tourism is of maximum benefit to local people is key to the sustainable development of the islands. 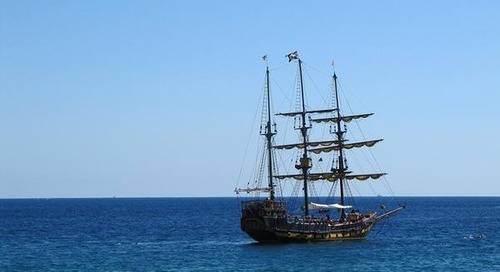 The Planeterra Foundation has partnered with Waponi, an award-winning Ecuadorian community development organization, and the community tourism association located on Floreana Island. 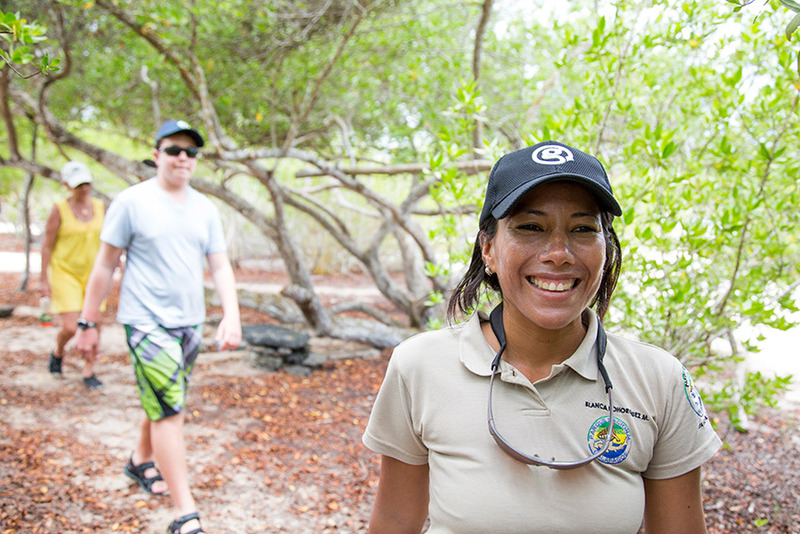 These partnerships aim to empower the residents to manage all island tourism activities themselves (such as accommodations, trekking and kayaking), bringing real economic benefits for the first time and improving opportunities for the 55 families who live on Floreana. Following these guidelines and committing to being a responsible tourist will help to ensure that the Galápagos Islands remain sustainable and beautiful for generations to come. 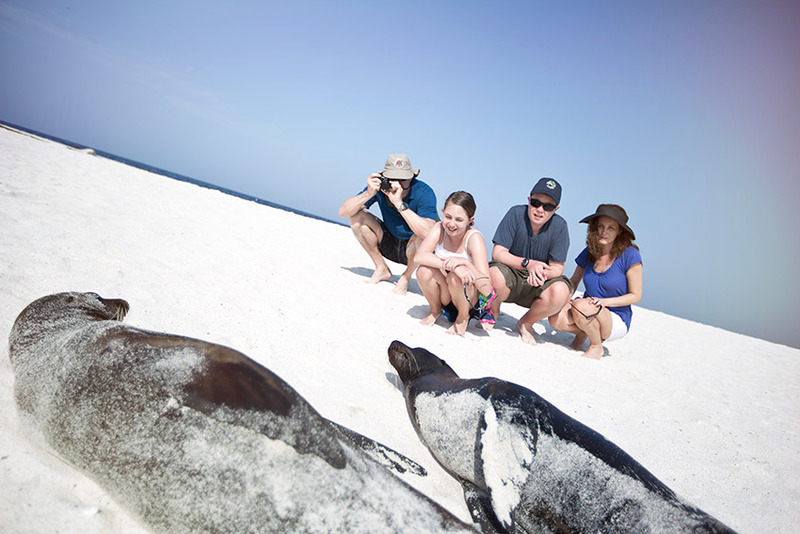 G Adventures runs a number of departures in the Galápagos Islands encompassing a wide range of departure dates and activities to cater for different tastes. We’re thrilled at the prospect of showing you this big blue planet of ours — check out our small group trips here.